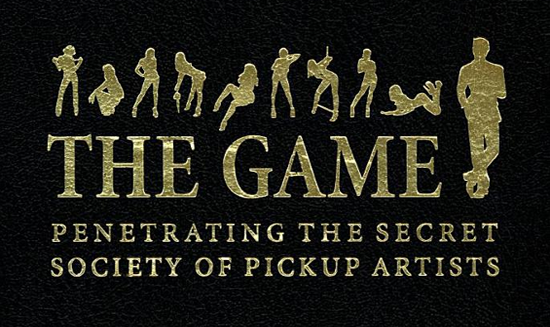 James Franco in Talks to Star in 'THE GAME: PENETRATING THE SECRET SOCIETY OF PICKUP ARTISTS'! James Franco is in early negotiations to star in the big screen adaption of The Game. MGM are bringing Neil Strauss' [pseudonym author] notorious New York Times bestseller to theaters everywhere. Strauss documented his experiences in The Game: Penetrating the Secret Society of Pickup Artists in 2005 & shares the tricks of the trade. Franco would play Mystery, who taught Strauss how to become a pick-up artist. THR report that The Game will be directed by Brian Koppelman & David Levien, both of whom worked on the screenplay. Writers D.B. Weiss, Lee Eisenberg & Gene Stupnitsky also worked on the project. Mystery later starred in a VH1 reality series called The Pick-Up Artist… Check out the trailer. I'm reading: James Franco in Talks to Star in 'THE GAME: PENETRATING THE SECRET SOCIETY OF PICKUP ARTISTS'!Tweet this!